As we near the end of October it seems that most of my projects are related to the holidays: Halloween, Thanksgiving or Christmas. 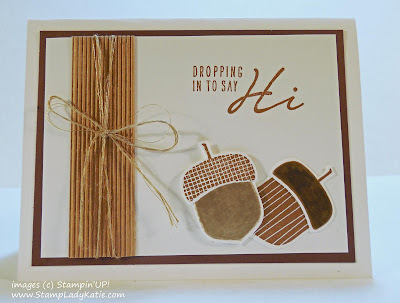 So I thought I'd take a little break today to make a generic card who's only purpose is to say "Hi". I confess I've been rightly accused of being a "punny" person, so this sentiment really resonated with me. Get it? 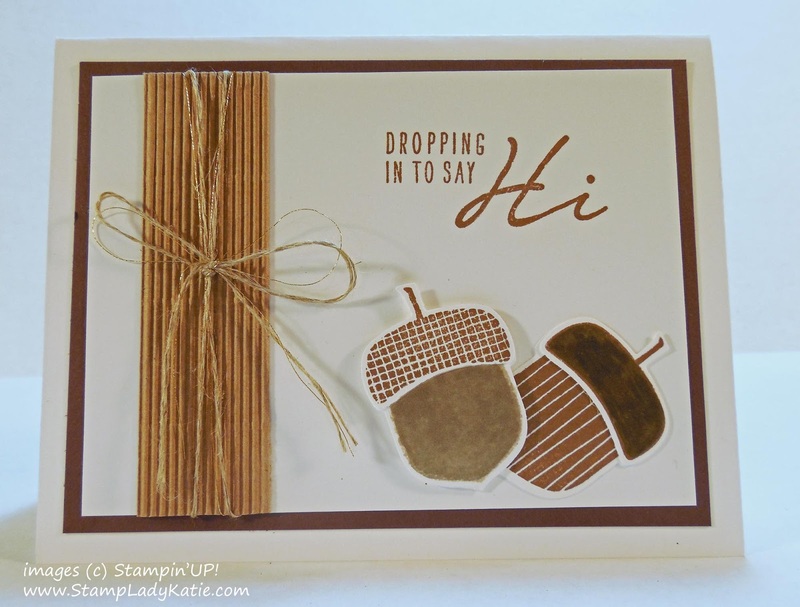 Acorns drop down from the tree. OK, maybe you're just groaning instead of laughing, but I think its cute. 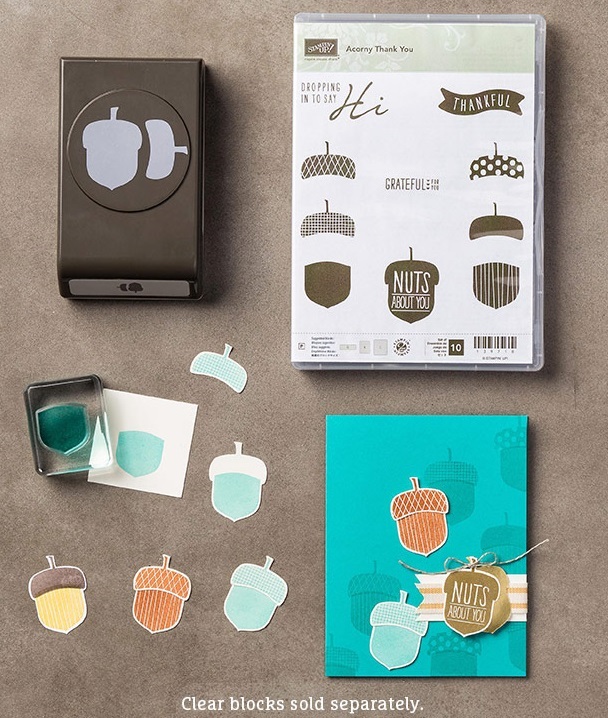 so you'll still save 15% on this stamp set. 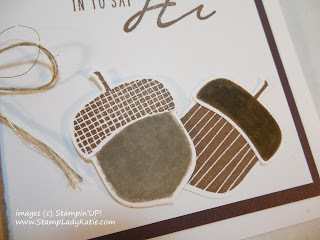 Here's a close-up of the acorn so you can see how well the punch works with the stamp set. This is one thing I really appreciate about Stampin'UP! They're doing a really good job of coordinating products. Its always been wonderful to have colored product coordinate, but now we're also seeing all sorts of stamp sets with matching framelits or punches like this one. 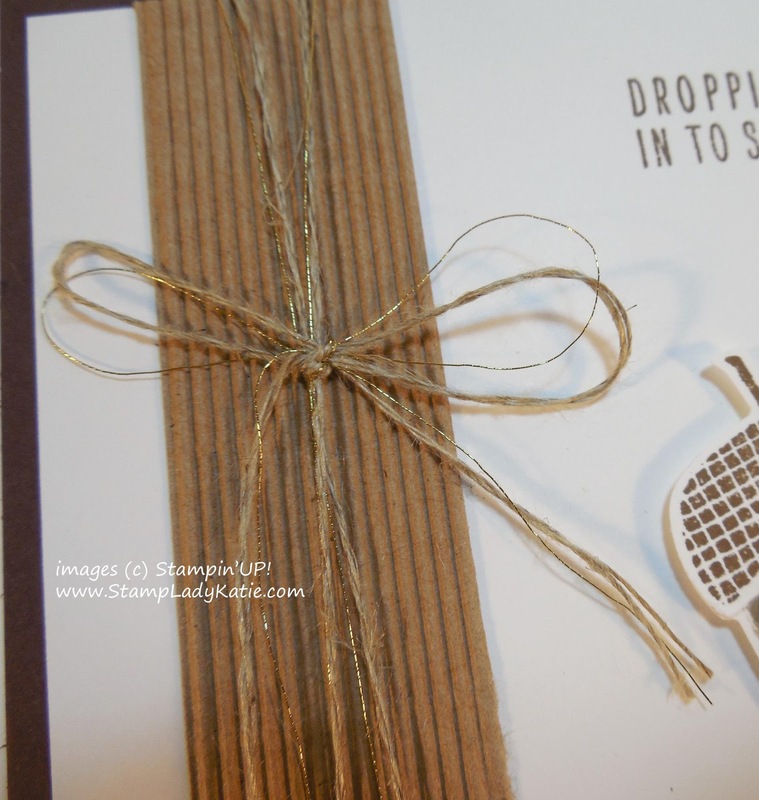 The trim on the side is Stampin'UP's new Corrugated paper. 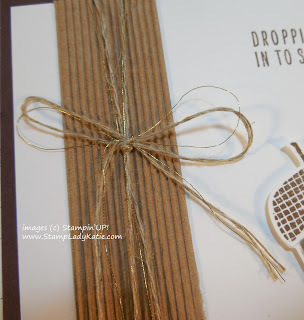 There is a tool available for crimping paper but it makes wider and deeper corrugations - which makes it pricier to mail. I like how thin this paper is. And if you're like me, I was always frustrated trying to get my paper to go through the crimper straight. These ridges are perfectly parallel and straight. 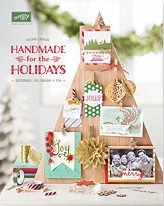 They're available as 12x12 sheets, 2 white and 2 craft colored for $7 a pack. What a deal. Thanks for Stopping by: If you see anything you like I'm happy to help you get the product or just to consult and explain further how the project was made . . . its all about having fun with our hobby.